Brian lost his leg at the age of ten due to a train accident. After rehabilitation he wanted to get back to playing his favorite sports. 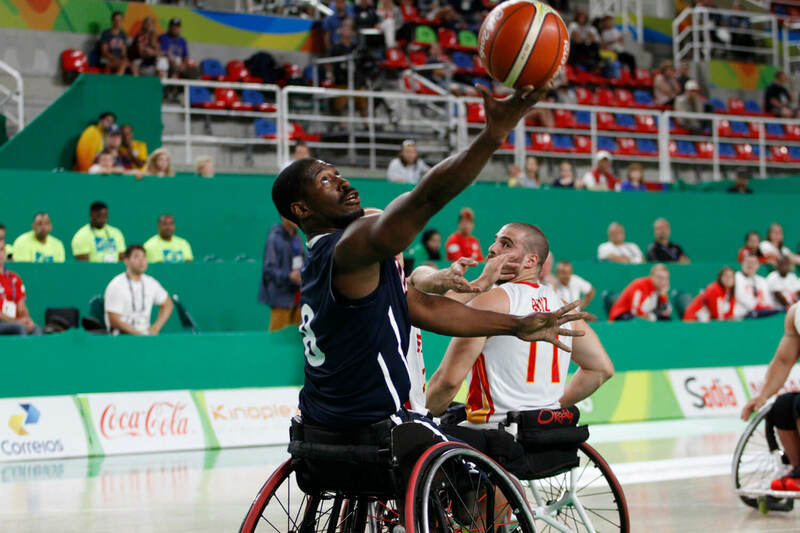 Not long after, he started training at a Paralympic facility across town and playing wheelchair basketball and other adaptive sports competitively. From 2009 through 2015 he played with Team USA across the globe winning numerous medals. In 2016, he played alongside Steve Serio and Matt Scott in Rio for Team USA where they came home with the gold. Today, he can be found playing professionally in Germany or spending time with his wife Diane and their children. From casters to click-straps, and everything in between, build the perfect chair for your needs and dreams. Create your own look in our PER4MAX.FIT wheelchair customizer, view the pro shop and find P4X swag. We use the lightest, strongest materials to hand-craft your chair, then we rigorously test it. Our custom-crafted chairs were chosen by Team USA athletes in the 2016 Paralympic Games. Your equipment is customized to empower you to perform better, faster, and stronger.